Concern over feeding difficulties is a worldwide issue. When asked, more than 50% of mothers reported that at least 1 of their children eats poorly. Addressing feeding difficulties that put children at risk of under-nutrition is critical since poor nutrition in early childhood can have long-term effects on the child. 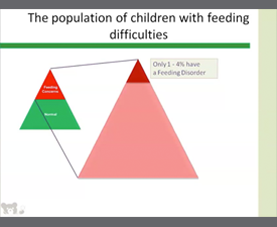 The presentation outlines a new classification system for identifying and treating this issue, giving clinicians an approach to diagnose and manage feeding difficulties. 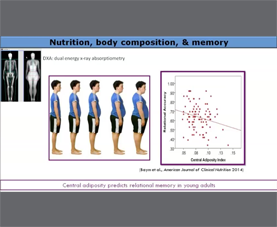 Because feeding is influenced by the child’s behavior and the parent’s feeding technique, this system considers both roles in categorizing and the most effective, appropriate treatment.